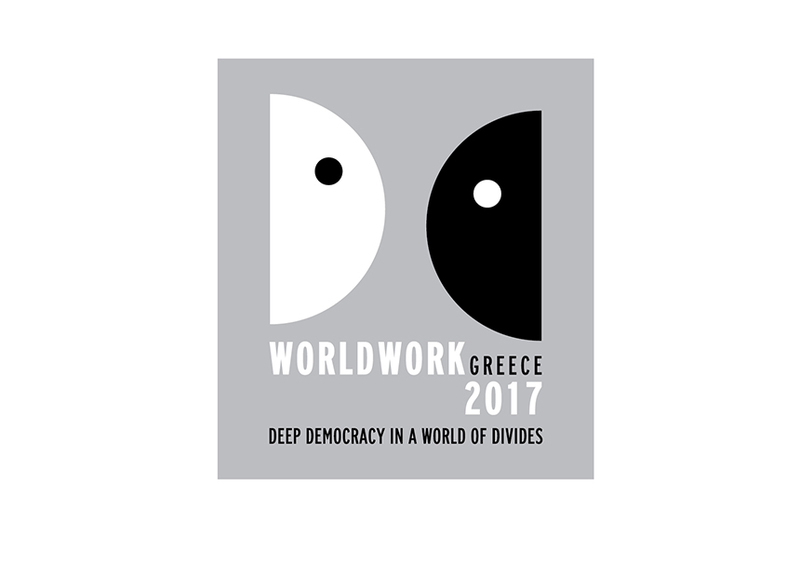 Worldwork is Processwork applied to small and large groups, communities and organizations, international events and environmental problems. 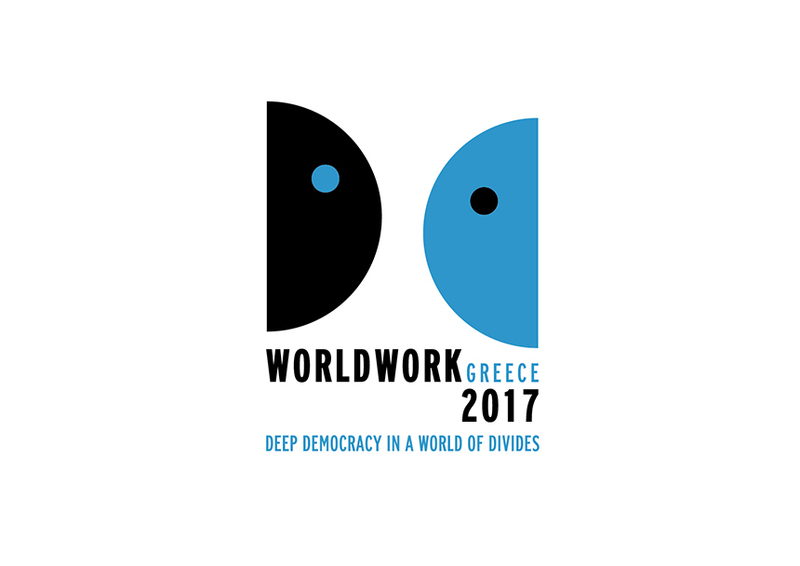 Worldwork was developed by Arnold Mindell, founder of Processwork, in the late 1970 and 1980. 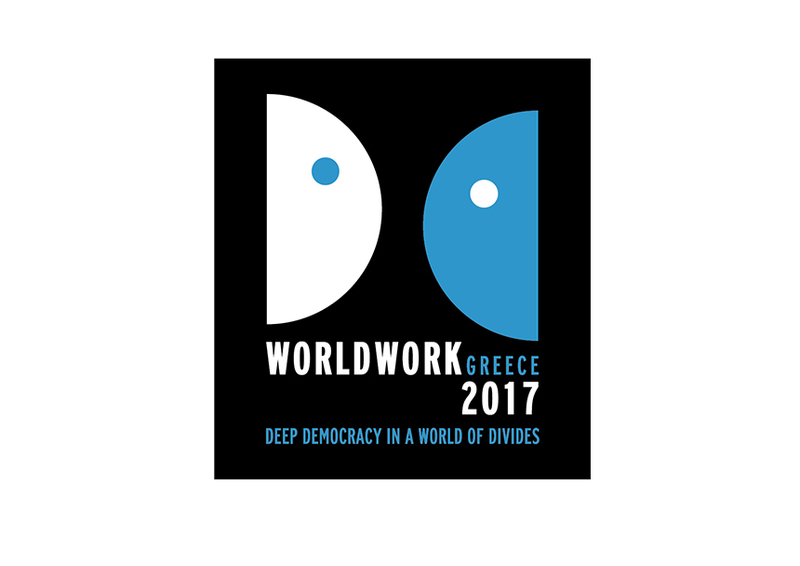 This logo was designed for Worldwork 2017 which is going to take place in Greece. 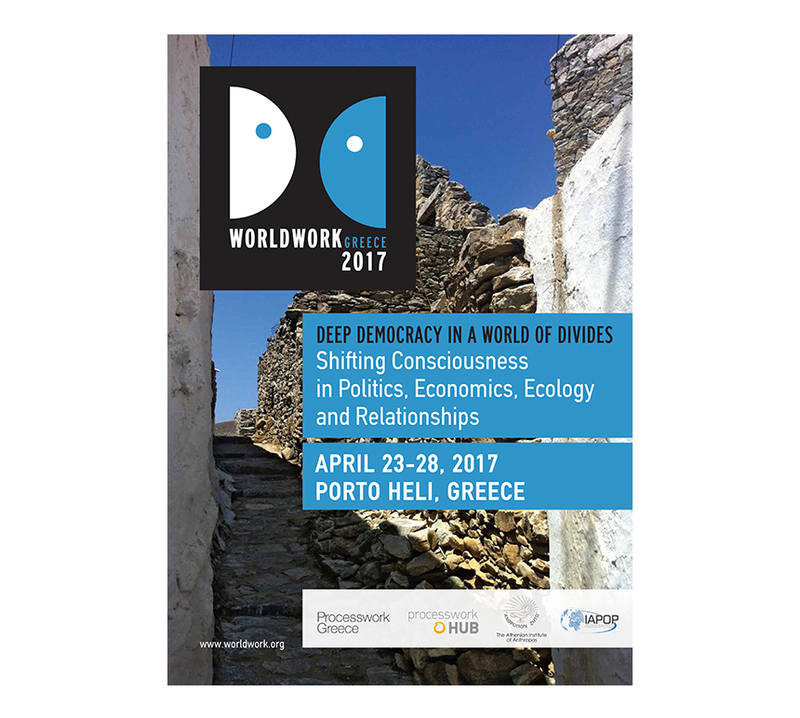 The basic theme being 'Deep Democracy in a world of Divides', the seminar will be focusing on 'Shifting Consciousness in Politics, Economy, Ecology and Relationships'.